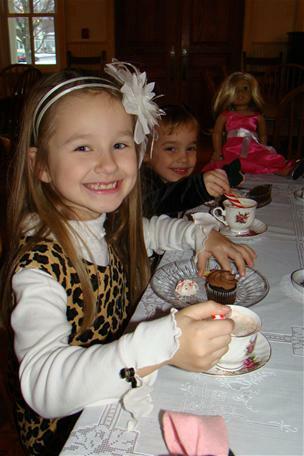 During this two-hour program, your group can enjoy a Victorian tea party complete with sweet treats, learn about old-fashioned manners, make a special craft and visit the Victorian-era Martin Mitchell Mansion. This party is perfect for girls in kindergarten through 6th grade or as a mother/daughter outing. Attending brownie troops will complete the Manners Try-It. 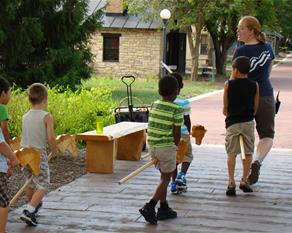 Step back in time as you explore Naper Settlement. This self-guided tour allows you to follow the development of a typical northern Illinois town growing from a frontier outpost to a thriving agricultural and industrial center. Your trip includes demonstrations of 19th-century trades and lifestyles. Saddle up and climb on your hobby horse as we clip-clop our way from the Blacksmith Shop to the Conestoga Wagon and sites throughout the museum campus. Our staff will guide your group to five stops during this engaging 90-minute program as they learn the importance of horses to farmers and settlers moving westward in the 1800s. This program can also be brought to your school or location. • Discover how horses helped pioneers settle the prairie. • Use movement, song, sound, smell and touch to learn about the basic needs and care of the horse. Cost: $7/student (ages 4-7). Reservations required. Your group will visit one of the historic buildings in our 19th-century village, participate in a craft and experience 19th-century life first-hand. Learn more about overnights and nights out. For information or reservations on the above programs, contact the Tour Coordinator at 630.420.6010.